A few years ago CCMA wanted to drop the steel player category from their awards. Needless to say the protests from country and steel fans changed their mind. Mitch seems to be an example of the ‘next’ generation player to keep the instrument alive. hey count me in ! Greetings from the great metropolis of Anola, MB. I'm mainly a closet picker and occasional jammer at my age. I love my instruments. Just when you think you're getting ahead in the rat race, the rats get faster. Hello from Al Kirby in eastern Ontario. I've been playing steel for about 40 years. My focus is performing and recording with independent singer/songwriters and my music preferences are eclectic fusions of folk, jazz, rock, and country. I work about 60 gigs a year. Two years ago, I recorded a five tune instrumental CD based on some old folk-song and fiddle melodies that I could not get out my head. 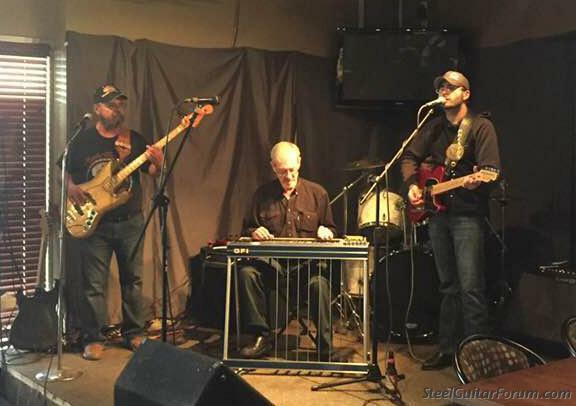 My pedal-steel allows me to create and improvise like no other instrument can! Retired 'bout three years back after over 60 years behind a Steel. Just so you know I haven't fallen off the planet. Doug, You will never be forgotten! 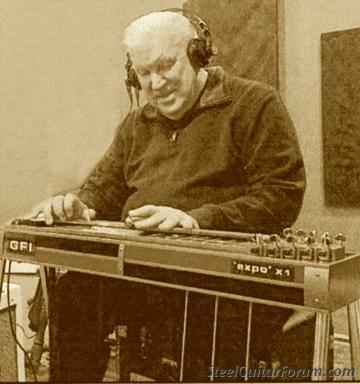 Many musicians in Canada are aware of Doug Johnson's talents. Being the humble, nice guy that he is, some of you may not be familiar. Not only is he one of the best steel players in Canada but he is one of the best to ever play the instrument. Doug, you are one of my heroes! Really enjoyed seeing and hearing you play this summer. As a side note, Doug, did you happen to leave a tuner and some picks on a stage at the plowing match last week? One of the organizers was asking. Well I will join the list. I live in Airdrie, Alberta, I am just getting into it ( 1 yr.) "Mullen SD10"so I will class myself as an apprentice picker. Yes there are some great Steel Pickers in Alberta and they have been named. I love the Forum as it has been a great help to my advancement. I have played lead guitar for 50+ yrs. plus which also helps. Some "Great Players" I try and follow is Joe Wright, David Hartley (from the UK) Michel Rose from Australia. John Lacey from Southern Alberta. I'd like to add Blair McNutt to the list. He doesn't have much access to the internet these days. I've known Blair for years and have always liked his style. When he lost the tip of his right index finger in an industrial accident many years ago, he just moved the picks to his other fingers and kept on playing. That's true grit! He lives in Red Deer Alberta and goes home to Saskatchewan occasionally to play with his brother. Just south of Yorkton I think. He plays an older MSA D10 but recently took to playing this GFI S12. I'm still around and playing with a lot of different artists in Western Canada.